Restrictions particularly on central Delhi roads. Vijay Chowk will remain closed for general traffic from 3.30 PM to 9.30 PM, Joint CP (Traffic) Alok Kumar said. He said the movement of vehicles on parts of Rafi Marg, Raisina Road, Krishna Menon Marg, ‘C’ Hexagon and Dara Shikoh Road will also be restricted. He said parking will be available for those coming to see the lighting behind the water channels between Rafi Marg and ‘C’ Hexagon after 7 PM, the officer said. Traffic police have also arranged for buses to avoid taking the ‘C’ Hexagon and some nearby roads from afternoon till evening. 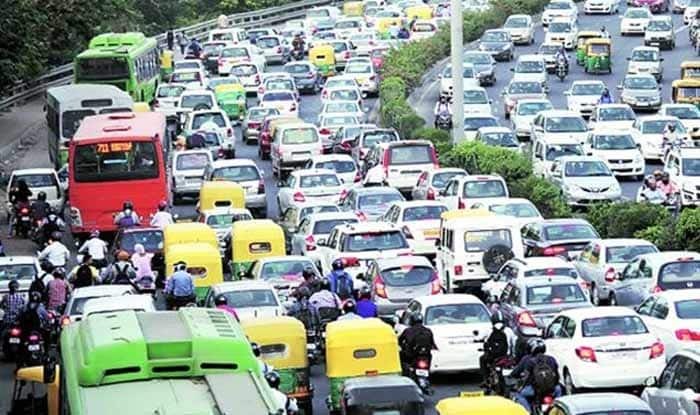 According to traffic police, roads to be avoided include Akbar Road, Ashoka Road, Tilak Marg, KG Marg, Prithvi Raj Road, Mathura Road, Shahjahan Road, Sher Shah Suri Marg, Bhairon Marg, Purana Qila Road and Subramania Bharti Marg. DTC and other city buses will be diverted from their normal routes from 3.30 PM to 9.30 PM to facilitate vehicles of the invitees and to avoid congestion on roads around the venue. Buses on way to the Central Secretariat and Connaught Place from Shantipath-Vinay Marg-Sardar Patel Mark will be taking Panchsheel Marg-Simon Boliver Marg-Vande Mataram Marg-Park Street. Buses on way to Connaught Place will take Mandir Mark, Kali Bari Marg, GPO, Baba Kharag Singh march and return via Bhagat Singh Marg-Peshwa Road-Mandir Marg-Shankar Road and Vande Mataram Marg. Buses from South Delhi on way to CP or Central Secretariat will be diverted from Aurobindo Chowk to Safdarjung Road-Kamal Attaturk Marg-Panchsheel Marg-Simon Boliver Marg. Buses from Mandi House and Feroze Shah Road on way to CP via Barakhamba Road will terminate at Shivaji Stadium and return via Kasturba Gandhi Marg.